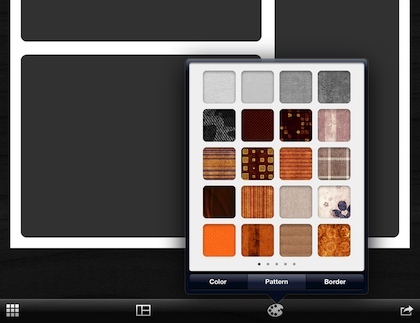 We have covered a couple collage building apps for the iPad in the past. Generally, apps offer a selection of frames that you can add images to with a few editing options. A few of us have been working with a universal app, Layout, which has a equally usable interface on both the iPad and iPhone. Layout has templates to choose from, but it is actually totally customizable at no extra charge. Just drag a finger across the screen to draw a division lines. Then, drag the line to resize photo areas as you like. The layout can be saved as templates to use later if needed. Across the bottom of the work area is tools to change the dimension of the collage area, a color picker and 100 textures to use in the frames. Layout offers a variety of resolutions for the final creation through the Settings area. To insert images, tap any of the areas to bring up a selection tool. 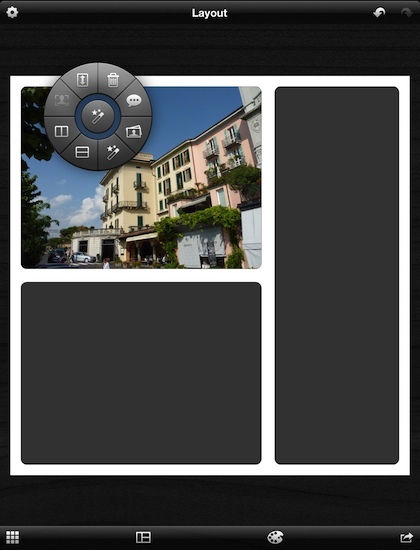 Images can be brought into Layout from the iPad’s photo library. This also lets you quickly divide a photo area and delete if it doesn’t work as you expected. 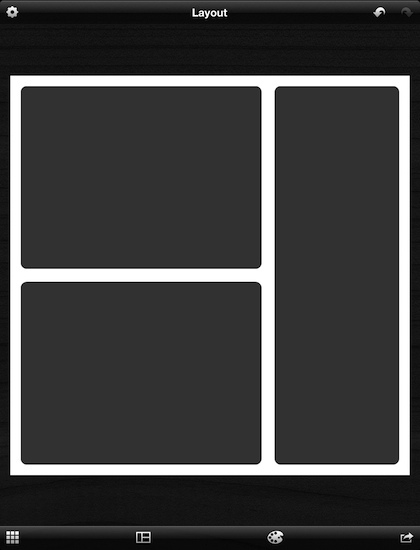 Adding text to the single image area or all is also done through this picker. This simple looking tool that we wish more apps offered as a method of adding/changing options. 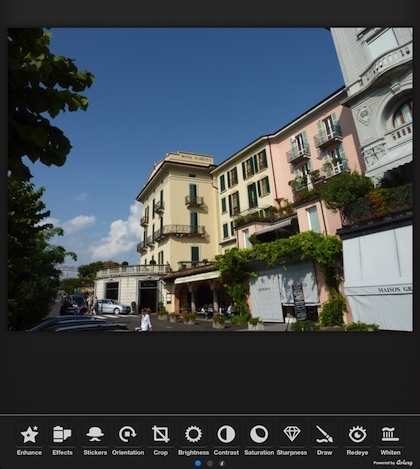 Photos do not need to be edited in another app before importing them into Layout. Full customization of each photo is supported via the ‘wand’ icon in the selection tool shown above. This helps speed up the process of telling a story through a collage as photos can look different when placed next to another in a framed area.